Now is the time to register for Spring 2017 semester classes at City Colleges of Chicago (CCC). The first session of Spring classes (16-week session) begins on Tuesday, Jan. 17th, 2017 and registration ends on Tuesday, Jan. 10th, 2016. New students can apply to City Colleges of Chicago by visiting the admissions page at www.ccc.edu/apply. 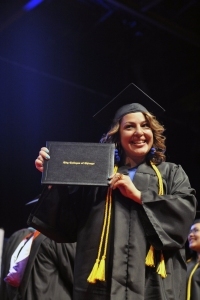 Offering quality, affordable programs, City Colleges of Chicago allows students to earn academic credentials ranging from certificates and associate degrees in fast-growing fields to English as a Second Language (ESL) and GED high school equivalency instruction. 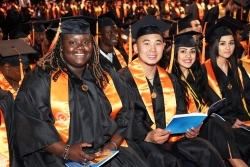 City Colleges of Chicago also offers the Chicago Star Scholarship, which provides free tuition and books for up to three years, to eligible graduates of Chicago Public Schools (CPS) and CPS charter schools. CPS students must meet specific criteria to be chosen as Star Scholars. These students must graduate with a GPA of 3.0 or higher, they must demonstrate “completion ready” ability with an ACT math and English score of 17 or an SAT math score or 400 and SAT writing score of 410, and the student must enroll in one of CCC’s structured, relevant pathways. The Chicago Star Scholarship program features partnerships with 15 four-year colleges and universities. Each of these partners have committed to creating an opportunity that will allow Star Scholars to continue their college education following a successful completion at CCC, with wraparound supports to ensure a successful transfer. More information about the Chicago Star Scholarship and Star Partners can be found at www.ccc.edu/starscholarship. 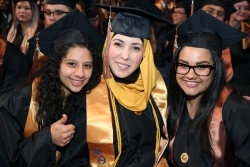 To begin the registration process, call 773-COLLEGE or visit the website’s admissions page: www.ccc.edu/apply. © 2116 Chicago Hispanic Newspaper, Lawndale News, Hispanic Bilingual Newspapers, Su Noticiero Bilingue. All rights reserved. XHTML / CSS Valid.